A little blog for the enjoyment of writing good words and reading even better ones. I have a another blog dedicated to words. It has lain fallow for a year or so and I really should continue my quest there as well. Today I have copied one of the entries. I hope you will enjoy it and that it will give you one more reason to pick up a good book to read today. How well read are you? Do you have conversations at dinner parties about books old and new? How do you get round discussing the books you haven't had the time or need to open yet? There are so many books - good books - interesting books - eye-opening books - entertaining books - educational books - heartwarming or thrilling books. You cannot read them all. I have friends who devour several books a week. Fast readers? Yes, but also with temporarily life situations that allows time to spend hours reading every day. I take longer, there are many other things on my daily schedule as well. I just read an interesting article about what to say about books you have never read. It's simply impossible to read all books. So how about learning a summary of classic books to make interesting conversation? It's like having an opinion about a movie you haven't seen, but only read the review. I have discovered a fun way to remember books I have read. I have a beautiful little note book where I write my own book reviews. I write down the title of the book, the author's name, year published, a synopsis, my review, and when I read it. I enjoy flipping through and remembering good books and recommending them to others. 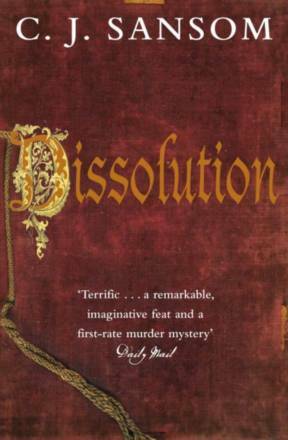 Set in an exciting period in history during the dissolution of the monasteries. Shardlake is a likable and clever investigator. It is well written. I was there - at Scarnsea - seeing, smelling, and feeling. I am excited to read the other 4 mysteries with Shardlake; Dark Fire, Sovereign, Revelation, Heartstone. Story: 1537. Matthew Shardlake is a lawyer in the service of Cromwell, King Henry's VIII's vicar general. He is sent to investigate a murder in a large Benedictine Monastery in Scarnsea, on the south coast of England. Så smart ide med den notatboken. Det er en liten skatt det. Jeg husker ikke alltid hva jeg har lest og begynner derfor noen ganger på samme bok. Og du leser fort og mye, C.. Jeg liker å bla gjennom denne notatboken nå og da og minnes litt.